What will you find inside Wizards Keep? 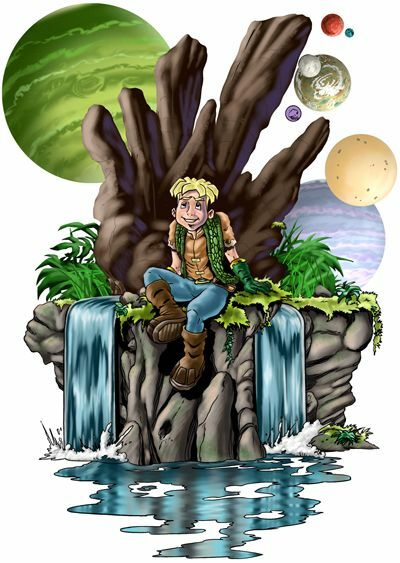 Take a look at my "Science Fusion" Graphic Novel series "Worlds End", written and drawn by me. Available direct from us here in the Shop section to the left. Artwork can be viewed in the gallery to the left under the Shop Section. And you can visit the official Worlds End website too. The shop introduces my new work and you can purchase Museum Quality Giclee prints of my work that many people have asked for over the years. You can also buy original pages from my past work from Marvel, D.C., Defiant, 2000 A.D., Tekno, London Editions (Egmont), Newsstand, Toontastic amongst others. The pages will change from time to time. Please feel free to ask if there are pages not shown that you would like to own. We also have lots of other Worlds End merchandise available for sale in the Shop. We have a specialised product, called Mural Artz – ideal for schools, offices, retailers and the home. Our product lines are growing all the time, so please keep checking back to see the new ranges. You can also check out Prototypes of our high quality, limited edition, signed, numbered Resin figurines based on my characters from Worlds End. There are also occasional opportunities to commission me privately, to produce one off, original pieces of artwork to your specifications. You can read my thoughts and musings in my Blog, accessed from the left hand side column. You can also check out my Guest Artist and Hall of Fame pages where I introduce the guys that have influenced my work. Publishers, manufacturers, film makers, themed attractions specialists and other commercial enterprises can hire the services of the Wizards Keep studio team – please feel free to enquire. My team and I look forward to hearing back from anyone that wishes to contact us via email or snail mail.. Thank you all again for visiting the website and taking the time to look at the worlds within.